My grandma is a techno-grandma. She knows how to use "the Google", how to check and compose email, do puzzles online and even owns a cellphone. The cellphone part got problematic when SaskTel rolled out their HSPA+ network a few months ago. My grandma got a letter from SaskTel asking kindly to upgrade her phone - if she did so before the new year she'd get a credit. The problem isn't the fact that she will inevitably have to upgrade her phone to one that is compatible with the HSPA+ network, it's the fact that all these new phones are not senior friendly at all. My grandmother only needs a cell phone in emergencies, when travelling on the highway. She always has her address book with her, so the phone only needs to be able to accept a number and place a call. 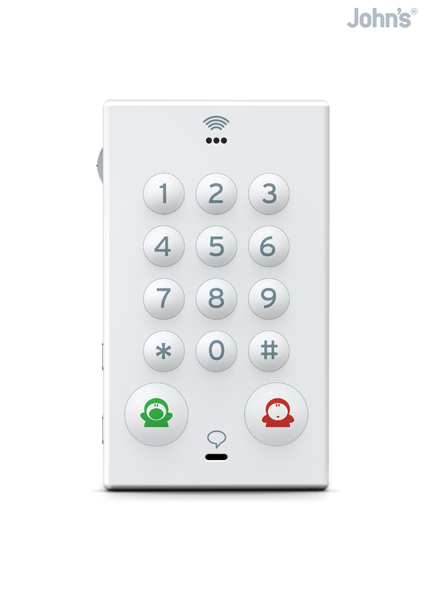 Incoming calls shouldn't be more difficult than opening the phone or hitting a button. Simple, right? Any of the $0 phones should do the trick. Not quite - while the $0 phones offered from carriers meet all the functionality requirements of a "grandma-phone" they are not senior accessible. My grandma's severe arthritis in her fingers limits her use of plastic buttons that her fingers can slip off. This means if she's trying to tap a key, she'll end up sliding off of it hitting a different number, which is then cumbersome to correct. This means that keys have to be large, which none of the $0 phones are. They're all tiny. Interestingly enough she has no problems typing on a touch screen - but we agreed that a $600 cellphone on a Pay-As-You-Go is a bit steep. Enter John's phone. I saw this phone show up on reddit the other day. The video portrayed the phone as a very good back up for someone roaming, as the phone runs on quad-band 3G (UMTS/HSPA) and is unlocked. It's design is perfectly minimal. 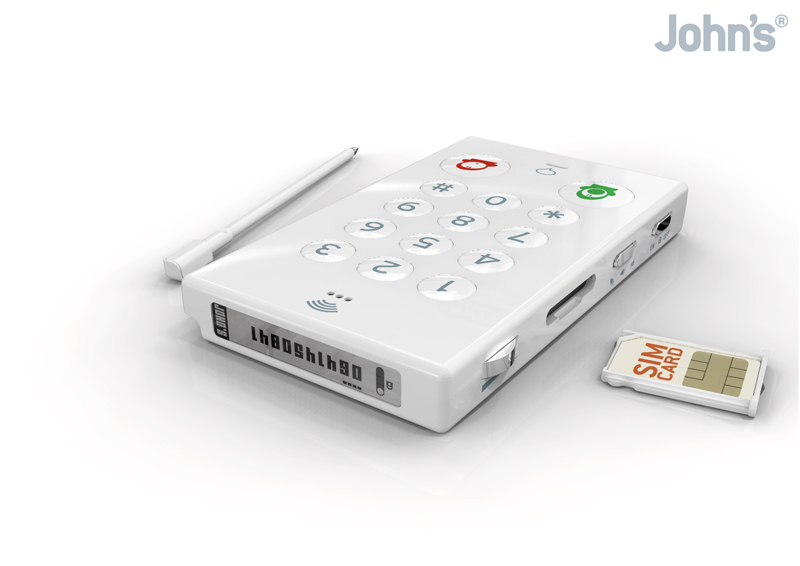 It features the usual keypad and a LCD screen that displays the number that's incoming or outgoing. Perfect for grandma. The buttons are massive. The fantastic part is the integrated address book that is literally pen and paper. There are also minimal controls for mute, quiet, loud, lock and a volume slider. A phone has been ordered for my grandmother, I'll update this article once I have the device in hands.